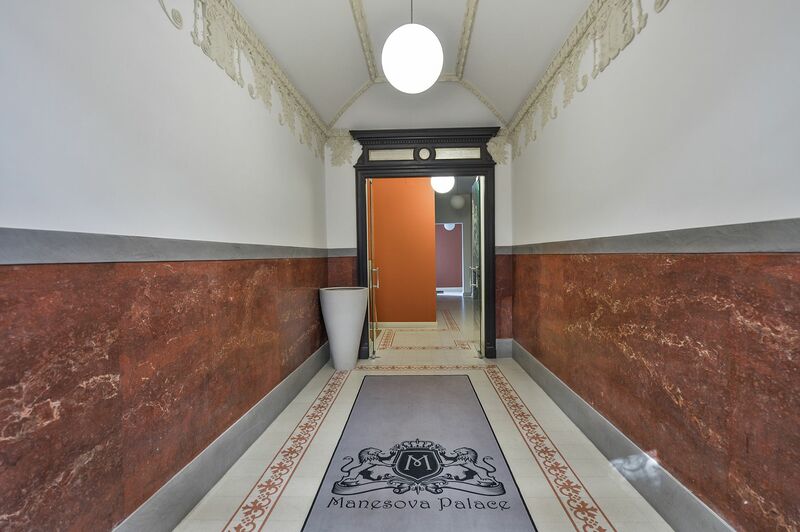 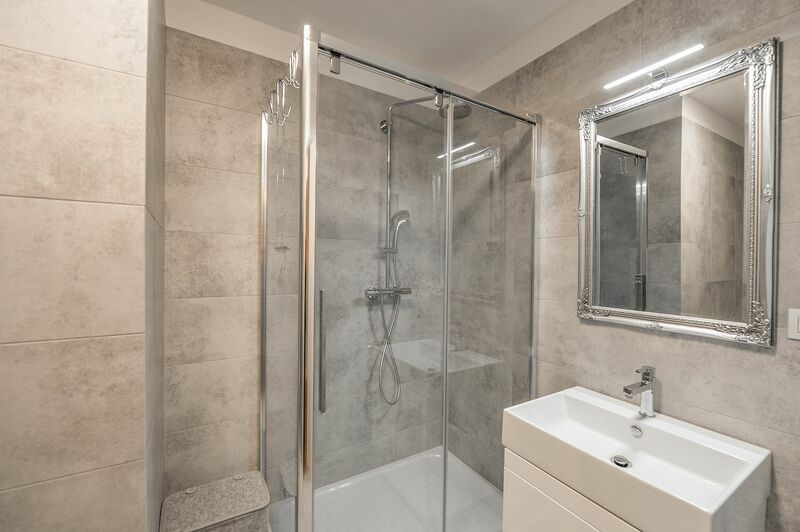 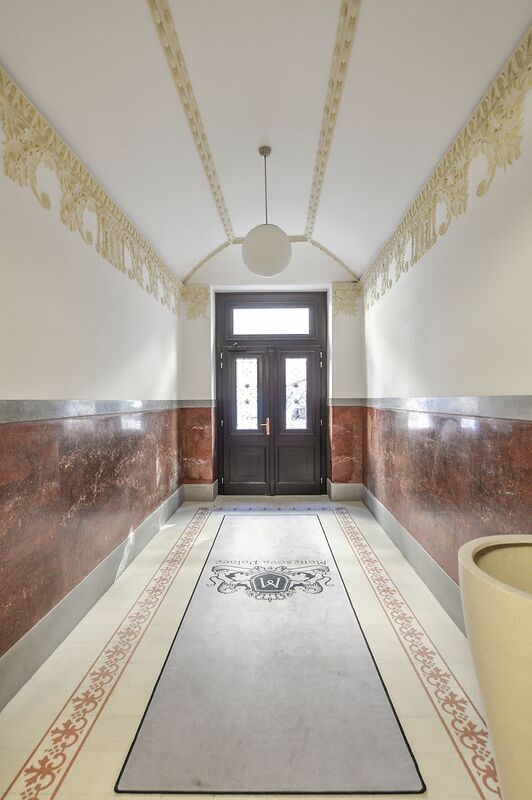 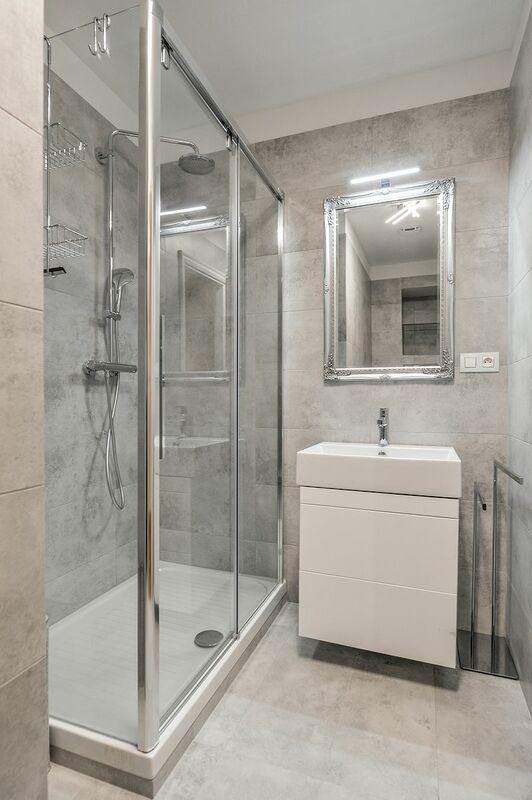 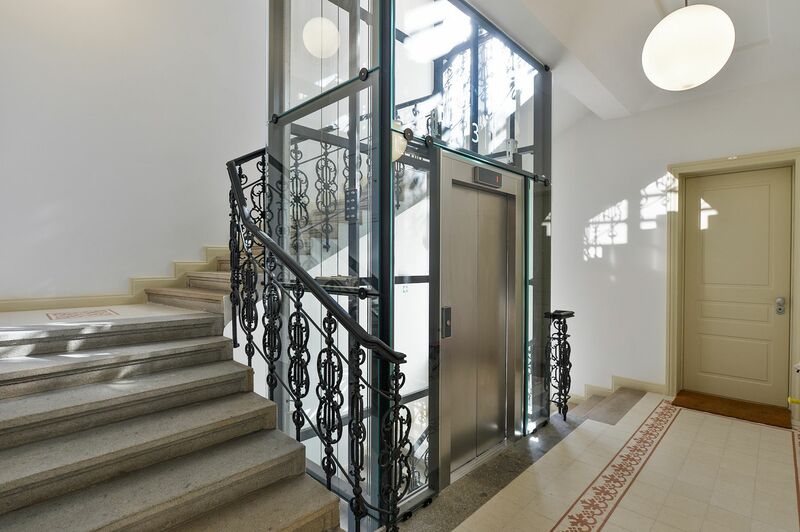 Newly refurbished, fully furnished 1-bedroom apartment, on the fifth floor of a meticulously renovated residential building with preserved original details in the popular neighborhood of Vinohrady. 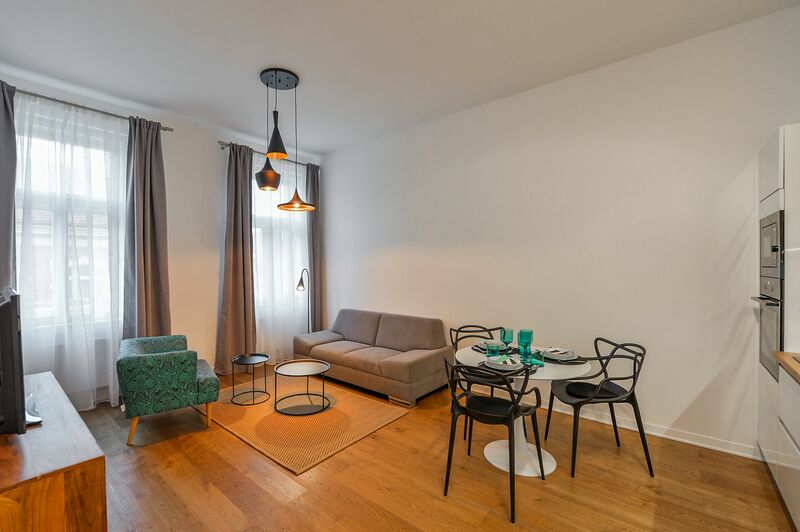 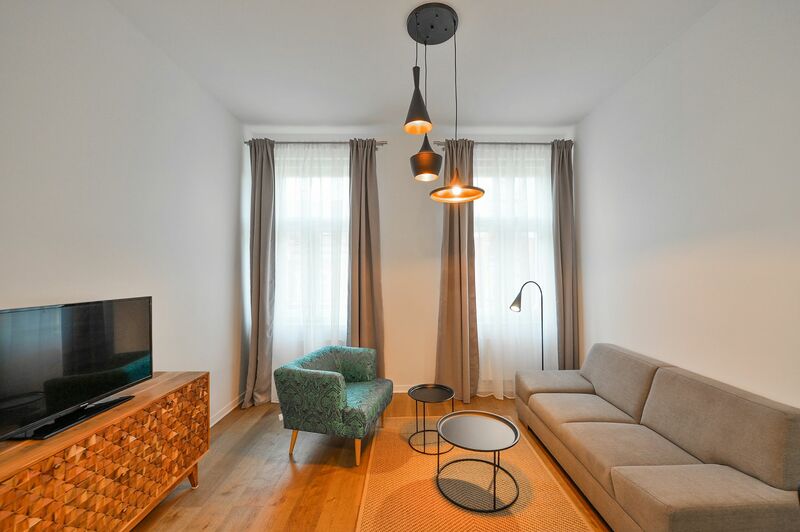 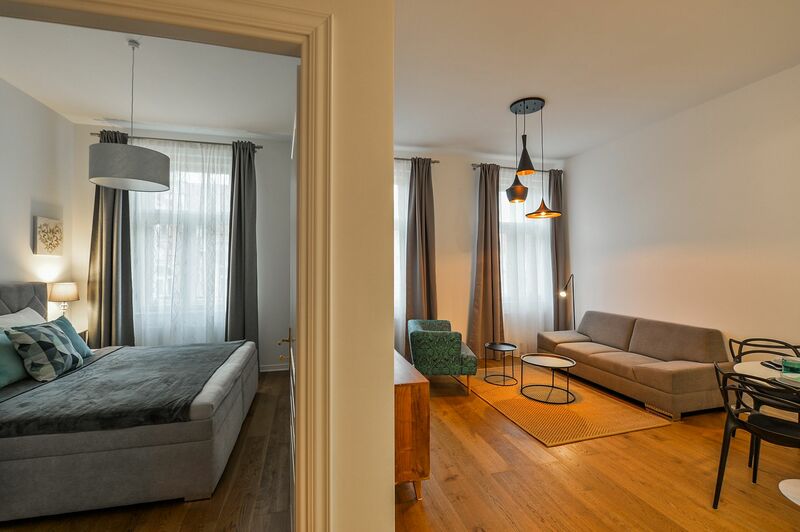 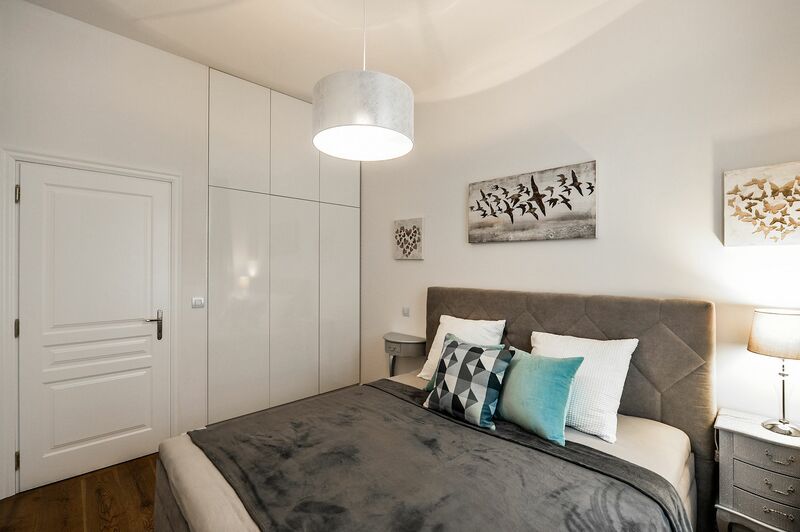 Conveniently located just moments from Riegrovy Sady Park and a few blocks from the Náměstí Míru metro and trams, within easy reach of full amenities, and a ten-minute walk to Wenceslas Square with access to all three Prague metro lines. 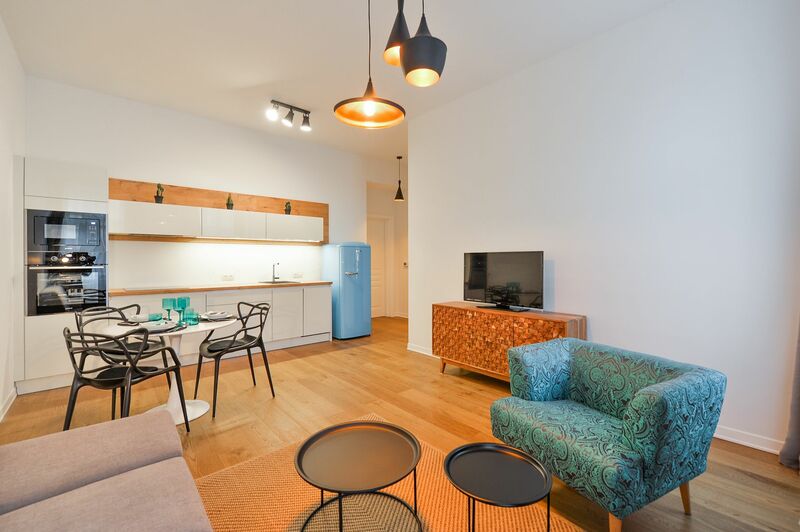 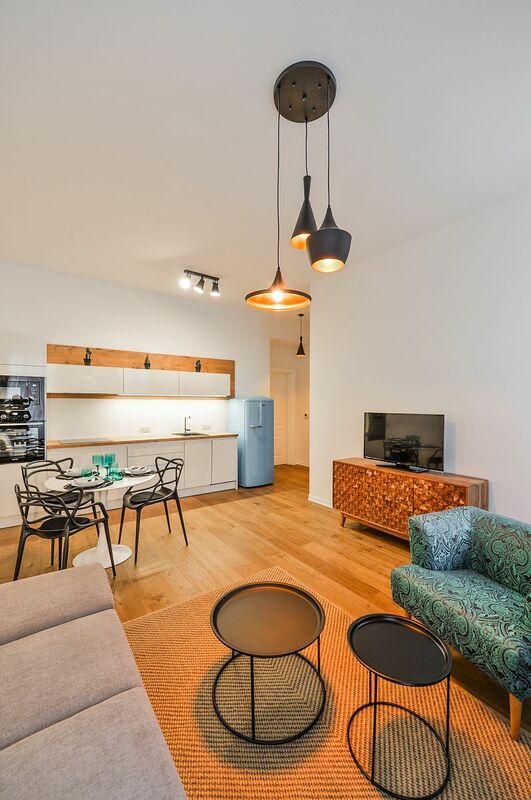 The apartment includes a living room with a fully fitted open plan kitchen, one bedroom with built-in wardrobes, a bathroom with a walk-in shower, a separate toilet, and an entrance hall. 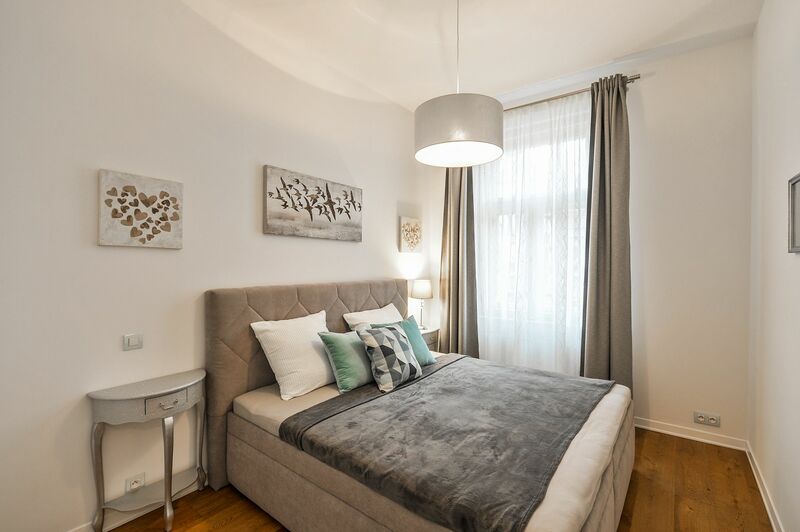 Hardwood floors, tiles, central heating, washer/dryer, dishwasher, induction cooktop, microwave oven, TV, cellar. 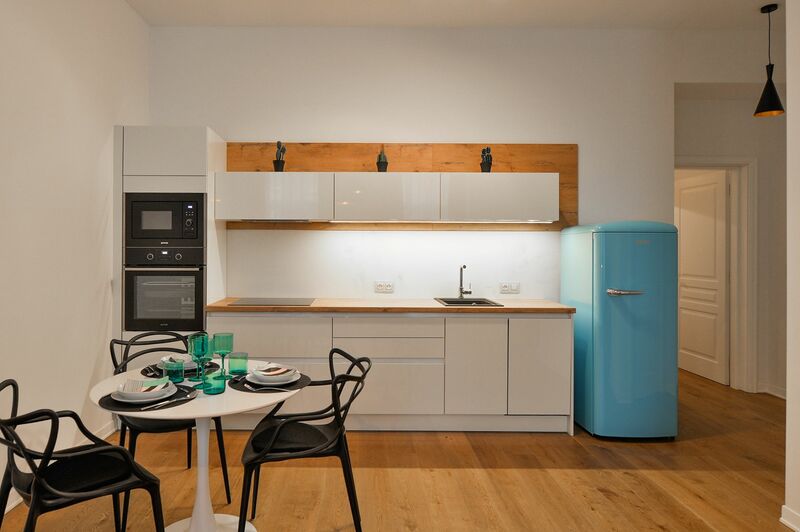 Deposit for service charges and utilities approx. 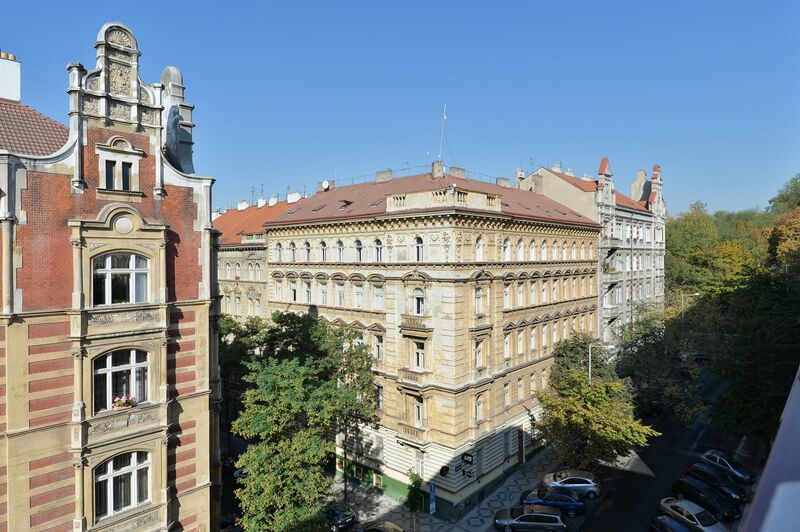 CZK 4,000 per month.